Gene Vito a.k.a. Lyon (Lead Singer), George A. Nopio, Jr.(Tenor) and Loren "Bugsy" Cope(Bass). After attending a performance given by the "The Four Coins" my friend Loren "Bugsy" Cope and I decided to start our own group. He knew a younger singer and asked him to join us. His name was Gene Lyon. He became our lead singer. We then added Michael K. D'Amico a guitar player. 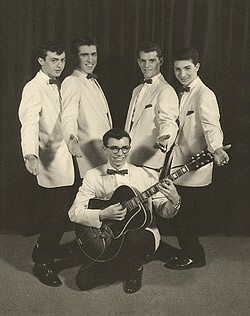 We were practicing when a gentleman by the name of Donald Hubert approached my parents and asked if he could manage us. We were on our way. Doing hay rides and record Hops. Our manager talked us into entering a talent show in Cleveland, Ohio. We called ourselves "The Contenials". We took first place. We returned back to Erie and still felt our group needed another voice and while performing at the Tech Follies we met a man then doing comedy and asked him to join our group. 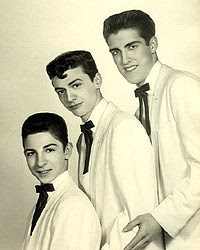 His name was Anthony "Tony" Mezzacapo and he provided our group with the sound and the harmony we were looking for.We then had to return to Cleveland, Ohio Talent Contest as finalists. We piled into our managers vehicle and off we went. 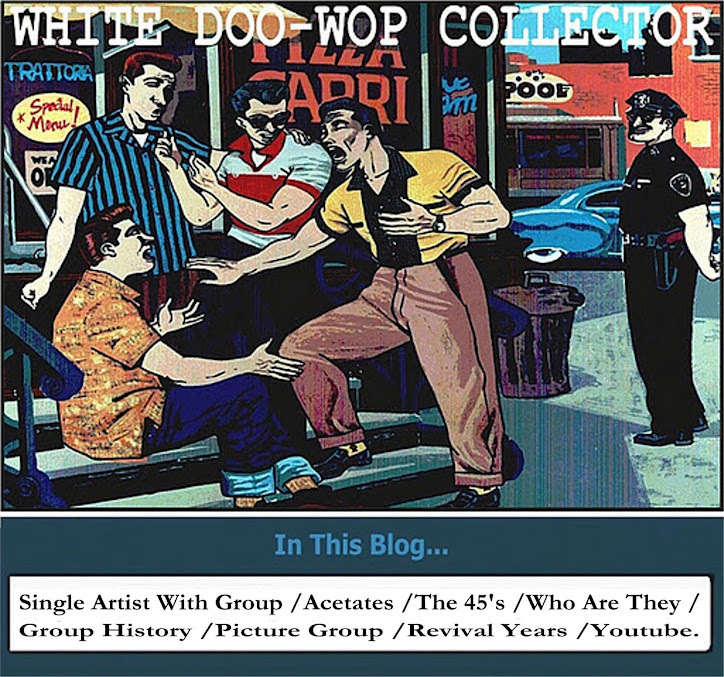 We took first place and received a recording contract. As we were leaving we received a call that a gentleman wished to see us so we went to his home. He told us that we could not call ourselves "The Contenials" because he had a successful group in Florida that had that name. So we worked all the way home trying every form of the name and came up with the "THE CONTELS". The next day I called Cliff Shilling of the local radio station, WICU told him to please announce "The Contenials" were now "The Contels". George A. Nopio, Jr.(Tenor),Loren "Bugsy" Cope (Bass),Anthony "Tony" Mezzacapo (Second Tenor),Gene Vito a.k.a. Lyon (Lead Singer),Michael K. (Mike) D'Amico (Guitar) and Gary Miller (Drums). Good song. I like it.